In the visual style of the critically-acclaimed The Legend of Zelda™: A Link Between Worlds game comes a new adventure. 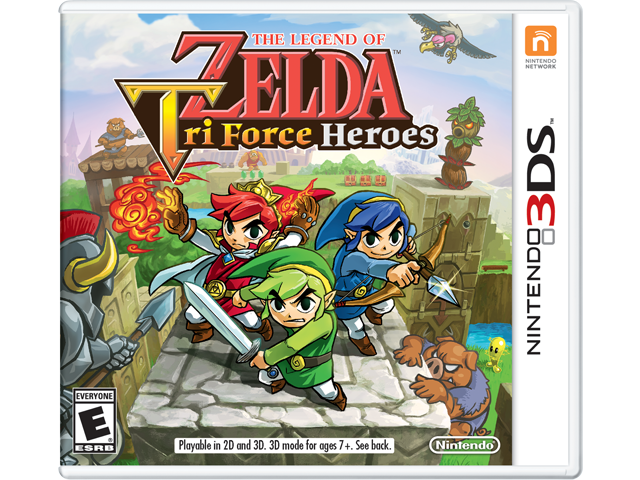 In this journey, three players team up– each as Link™ – to cooperatively make their way through inventive dungeons and battle bosses. Use the new Totem mechanic to stack three Links on top of each other to reach higher grounds and solve puzzles. Collect loot to create wearable outfits, each with a different boost or ability. **Use Parental Controls to restrict 3D mode for children 6 and under.